The problem of identity theft is growing worse every year. Criminals with the smallest amount of personal information can now steal an identity and cause damage that could take years to repair. Criminals are also finding new and inventive ways to steal identities. Six tactics will help to protect anyone from identity theft. All passwords and personal identification numbers (PINs) for credit cards should be managed carefully. The passwords and PINs should not correspond to numbers or words that could be guessed by a criminal. Passwords should be changed every 30 to 60 days to something completely different. You should also not keep all your passwords and pins the same across the board. This can be just be inviting a thief to access more information then they originally could have. Picking bank statements and other papers out of the trash is still an effective way to steal an identity. It is important to shred all documents that contain personal information or account numbers. It could help to sign up for paperless billing with banks and utilities to eliminate printed documents from the trash completely. If you choose the route of going paperless, the only other idea you have to worry about is keeping your passwords safe. Considering that you should have a different password for each and every account, sometimes it is good to have these passwords written down somewhere in case of an emergency. But you want to be careful with where you store these passwords and make sure they are out of sight and reach of anyone looking. For documents that cannot be shredded, think of a secure location for them. There are safety deposit boxes at every bank or you could invest in a fire safe to keep in your home. The point is, you want to make these documents unreachable to anyone outside of your family. All accounts should be checked regularly for any usual activity or changes in information. This should include bank accounts, credit card statements and accounts with utilities or other companies. They should be checked to ensure the address and other data is correct. They should be checked for unauthorized activities. This is especially important when looking at a credit report. Identity thieves can steal mail directly from a mailbox. It is important to use a locking mailbox or to have a mail slot that leads into the home. Outgoing mail should be put in a secure mailbox and never left in an unprotected location for pickup. Unsolicited requests for information should be ignored. This includes emails and mailed letters. If the request seems legitimate and is from a known source, then it is best to find the official number of the institution and contact them directly to see if the request is valid. Be especially leery of websites that ask for personal information. The only thing you should be giving out to a site should be an email address. Never give any numbers of your social security number out over the internet. This is an easy way for criminals to get their hands on your information. Spyware and malware can extract personal information from a computer and record keystrokes. Computers should be scanned for spyware and malware once every week or month depending on usage. Installing active antivirus software will help as well. Part of avoiding identity theft is quickly recognizing anomalies and staying out of uncertain situations. It is important to scrutinize everything before providing personal information over the phone or online. Personal information needs to be protected at all times as if identity thieves were waiting around every corner. I used to have almost the same password in all my accounts. After one of my important accounts was hacked a few years back, I eventually learned my lesson and have secured passwords in all my accounts to avoid any damage to any of my important accounts. 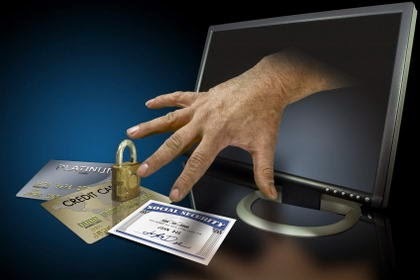 Indeed, the rate of identity theft has increased with wide spread of electronic forms of interaction. If you need to perform secure financial operations it is reasonable to turn to reliable money provider on the web. It allows an applicant to get the money for essentials for the days before the next pay check arrives. Everyone can use the option which is fast, timely and secure and accomplish any idea that needs immediate budgeting.